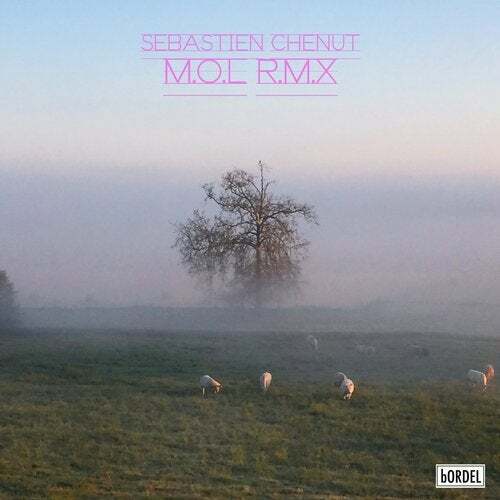 bORDEL Records now hits release number ten in style with an EP from label co-boss and Los Angeles based artist Sebastien Chenut. It features one original, one remix from Sutja Gutierrez and a live take version by C.A.R. Parisian Sebastien Chenut is half of French electronic duo Scratch Massive and has been making music for 15 years plus. As both a vocalist and a beat maker he produces gorgeous synth pop and electro that is effortlessly breezy. Here he gets a little darker and more experimental with a moody cut of fizzing electronics. C.A.R. is Chloe Raunet, a half-French, Canadian born, London based artist who was signed to Kill The DJ, co-hosts a show on NTS and makes music on the weirder-end of electronic spectrum that mixes up pop, synth, post punk and kraut into her own beguiling forms. She was also the vocalist for the band Battant. First up is her live take version of 'Motor Of Love' and it's a slowly unfolding track with shadowy drones and curious synth chords all building to a crescendo. Swirling pads add scale and foreboding vocals bring a sense of menace to this eerie arrangement. Next comes a remix from Sutja Gutierrez, a Spaniard who is an artist, musician, member of the band The Fruhstucks as well as a host of the radio show Rational Anthem at dublab.es. His scintillating version is a blizzard of electronic and guitar riffs, whirring machine sounds and stormy atmospheres all underpinned by jumbled drums. It is one to get your whole body on edge and is a potent and powerful brew. The excellent original version of 'Motor of Love' is a freeform synth jam with lines that gurgle and bubble about, changing shape and pattern before your very ears. The soft rubber drums progressively sweep you up and a distant mix of watery sounds, whispery vocals and dark acid slowly come to the fore so things end up in a very different place from where they start. All three of these cuts really get your attention in inventive new ways.